Bluegrass Pundit: Don't believe the liberal lies. Umpqua Community College was a gun-free zone. Don't believe the liberal lies. Umpqua Community College was a gun-free zone. 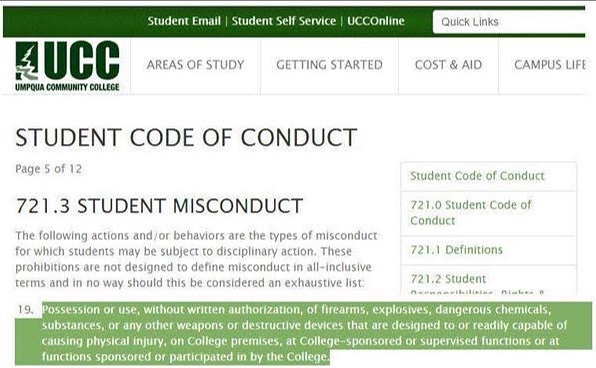 The liberal trolls were out in force on Twitter last night claiming Umpqua Community College allowed guns in their facilities. They were wrong or lying. In addition to the written policy of the community college, the university’s president, Rita Cavin, stated in a press conference that the university is a gun-free campus and there are “no plans” to change security policy.